A Pennsylvania DUI conviction can significantly derail your life. Not only will you pay substantial fines and lose your driver’s license, but you may spend time behind bars. Worse, you will have a permanent criminal record. If you are facing drunk driving charges, the McKenzie Law Firm, P.C., can help. Our attorneys will protect your legal rights and fight to have your charges reduced or even dismissed. Do not try to fight these serious charges on your own. Call 610-680-7842 today for help from a Radnor DUI lawyer. 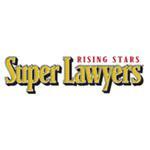 How Serious Is a Radnor DUI Conviction? A DUI conviction is serious business. The state drunk driving statutes set forth some of the harshest DUI fines and penalties in the country. Nearly every level of charge carries mandatory jail time—even for some first-time DUI offenses. In fact, you could spend as long as five years in prison, depending on the circumstances of your arrest and your prior record. Your fines could exceed $10,000, plus court costs and fees. You may lose your driver’s license for one year or more. You will have to attend an alcohol highway safety course and possibly have to install—and pay for—an ignition interlock device on your car. The most significant way a conviction will affect your future, however, is the permanent criminal record. Your DUI will show up when any potential employer or landlord runs a background check on you. It will show up when you try to get car insurance, too. Having a DUI will also prevent you from holding a professional license in most fields. As you can see, a DUI conviction carries very serious consequences, now and for the future. 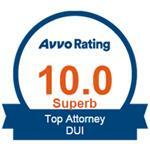 The best way to avoid them is with the help of one of our DUI lawyers. Before you consider pleading guilty to your charges, consider how we can help. Of course, we will protect your legal rights, answer all your questions, and explain your options. More importantly, however, we understand how the system works and how the prosecution will build their case against you. Using this insight, we can identify problems with the evidence or other potential weaknesses in the prosecutor’s case. With this, we can go to the prosecutor and negotiate to have your charges reduced or even dismissed. Even if the police have breathalyzer or blood test results that appear to prove your guilt, your case is far from closed. If the prosecutor refuses to negotiate on your charges, we can argue your case in court, forcing the prosecution to meet their high burden of proof. Before you make any decisions about entering a plea—and especially before you answer any questions or give a statement to the police—take the time to talk to one of our attorneys to learn more about your options. In Pennsylvania, police will consider you impaired if you operate a motor vehicle with a blood alcohol concentration (BAC) of 0.08 percent or above. However, if your BAC is above 0.099, you will face increased penalties, based on Pennsylvania’s three-tier DUI offense system. This table explains the full extent of Radnor DUI penalties. Another significant consideration is that, after a DUI conviction, you likely cannot have your criminal record sealed or have the conviction expunged. How Can a Lawyer Fight These Charges? Every facet of the DUI arrest process requires the police to respect your legal rights and follow established laws, rules, and guidelines. These are the aspects of your case we will scrutinize most closely. The police must have a reasonable suspicion you are legally intoxicated—or otherwise breaking the law—to stop your vehicle. We may use the police report, dash cam footage, or related evidence to question the officer’s reasonable suspicion. Without it, the court could deem the stop illegal or invalid. Once the police stop you, they must establish probable cause before they can request chemical testing for BAC. In Radnor, the police often use field sobriety testing, asking the driver to stand on one leg or walk a straight line. If the police used this approach during your stop, they must have administered the testing in strict accordance with the National Highway Traffic Safety Administration (NHTSA) field sobriety testing guidelines. If we can demonstrate that the police violated these guidelines in any way, the court may disallow any subsequent evidence the police obtained. In some cases, the police may use a portable breath testing device to establish probable cause. If so, the police must have done so in accordance with the NHTSA guidelines for BAC breath testing. Again, if officers violated the guidelines in any way, the court could invalidate subsequent evidence. Chemical BAC testing technicians must have extensive training and maintain current certification. The testing equipment also requires regular maintenance, calibration, and testing. If the police and testing technician violated any applicable standard, the court can invalidate the test results. Finally, if the police failed to advise you of your Constitutional rights prior to administrating chemical BAC testing, the prosecutor likely cannot use the results against you. If you are ready to get started, contact us as soon as possible. We can begin immediately searching for these or other vulnerabilities in your case and use them to build the strongest possible defense on your behalf. Do I Have Any Other Options to Avoid Jail Time? For qualifying first-time offenders, Radnor does offer an accelerated rehabilitative disposition (ARD) program through the Delaware County District Attorney’s (DA) office. If the Radnor ARD program might work for you, you could avoid going to jail and qualify for expungement after you complete the program. To apply, a lawyer must complete the required paperwork and submit it to the DA. If the DA approves your application, you must agree to the terms of the program and complete your obligations without any further offenses. We can explain how the ARD program works and advise you on the potential viability of this alternative. Attorney David C. McKenzie III of the McKenzie Law Firm, P.C., represents clients facing DUI charges in Radnor. He will provide a no-cost consultation to answer your questions and explain your options. Call 610-680-7842 as soon as possible to schedule your appointment.